Now you can record your video and display it or create your dynamic display picture which can change automatically and randomly or you can set a particular picture displaying specific mood as a display picture on Windows Live Messenger. 3. 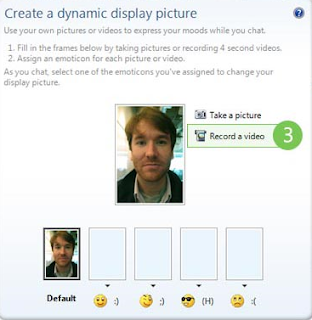 The “Create a dynamic display picture” window will be opened and if you have a webcam, you can create your own display pictures.